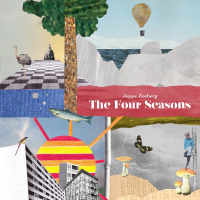 The debut album of Danish pianist Jeppe Zeeberg, member of local groups Dødens Garderobe and Bird Alert, expands the concept of piano trio with two double bass players and two drummers, known for their versatility and improvisational skills. 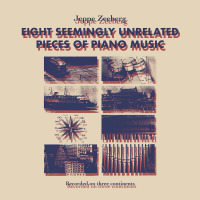 Furthermore, Zeeberg's compositions emphasize a common vein through all genres, demonstrated by his and his co-conspirators strong and highly original, personal approach. True to this bold aesthetics, Zeeberg's compositions are inspired from early, swinging jazz, the advanced compositional ideas of Duke Ellington and Thelonious Monk and even innovative contemporary composers as Morton Feldman and Edgard Varèse. The expanded, opinionated and powerful rhythm sectiondouble bass players Casper Nyvang Rask and Adam Pultz Melbyeand drummersHåkon Berre and Rune Lohsedictate an unstable interplay, open to constant shifts of pulse and dynamics. 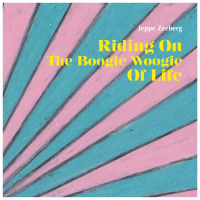 All stress the uncompromising, complex themes of Zeeberg, without surrendering even once to performing a conventional solo. The commanding, post- modernist approach of the quintet is demonstrated beautifully on "The Best Chinese Food Eat In Or Take Out" and the title-piece. Both build methodically the dramatic narrative through slow evolving, minimal changes, but suddenly spice the first one with an ironic rhythm based on loose, walking bass and adds to both compositions disciplined progression an inventive and experimental touch while applying extended techniques to the double basses and cymbals. "Potentially Hazardous Objects" feature the quintet in an intense, climatic search of timbres, sounds and rhythms, referring to Varèse's idea of "organized sound." The humorous, playfulness of the fast- swinging "A Regular Guy" highlights the distinct, personal approaches of all the quintet musicians, all insist that modern jazz, or experienced free improvisers will never sound as old-school jazz musicians but, still, can charge this beautiful legacy with great passion and imagination. The last piece, "Wurst Käse Scenario," encompasses all elements already featured in previous compositions. It is based on a simple, repetitive pulse delivered by Zeeberg himself, but this hypnotic pulse slowly accumulates nuances in timbres, playful rhythms, gentle and lyrical segments, innovative sonic searches until it unfolds as a rich, detailed texture. A beautiful, convincing proposal for how modern jazz or contemporary music may sound. 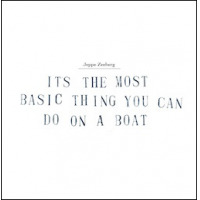 Track Listing: Excursions; The Best Chinese Food Eat In Or Take Out; Potentially Hazardous Objects; For Joseph Byrd; It's The Most Basic Thing You Can Do On A Boat; A Regular Guy; Wurst Käse Scenario. Personnel: Jeppe Zeeberg: piano; Casper Nyvang Rask: double bass; Adam Pultz Melbye: double bass; Håkon Berre: drums; Rune Lohse: drums.